The waning October reminds me of my childhood trip during the same time of the year to Khajjiar, the mini Switzerland of India . Saucer shaped Khajjiar is a picturesque spot which is the only MINI SWITZERLAND of India, a status which is awarded by government of Switzerland to 160 such spots all over the world. Khajjiar, known as one of the “most charming spots in the Himalayas,” derives its name from its ancient, golden-domed temple of Khajinag. Floating white mist, lush green meadows, naturally manicured sprawling acres of garden land, meandering roads cutting across the hills, spring sprouts and settled snow flakes nestled in between chipped rock that let a fountain or two trickle.. Along the side of khajjiar deodar forest covering the mountains is this awesome view which touches the soul. 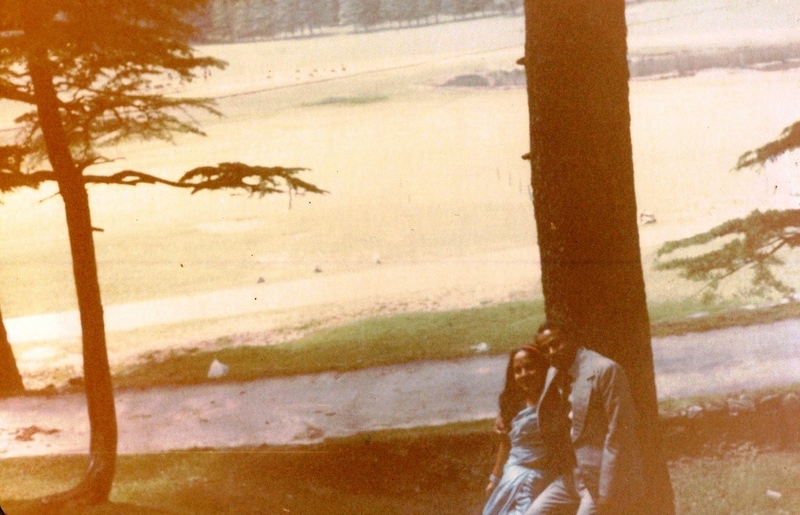 We were visiting Dalhousie then, and I was perhaps in my seventh grade, don’t remember exactly, when dad had finally found time from his extremely busy and excruciating routine to take us out on a trip. So while in Dalhousie, which was exceptionally different from anything I had seen uptill then, with its slanted low Slate roof houses strutted around, beautiful heavy wood appendages, kuchcha floors and nettle-rash-causing bushes all around, we decided to explore the paradise locality a little further. After an inquiry from the locals, Mom came up with the idea of visiting this small little hamlet for a day, called Khajjihaar or Khajjiar (as per the ‘www’ suggest), hidden within a camouflage of Pine & Deodar trees, as if some goblin had mischievously decided to hide this sun-twinkling mist-sparkling dew drop away to keep it safe from the nasty polluting world around. 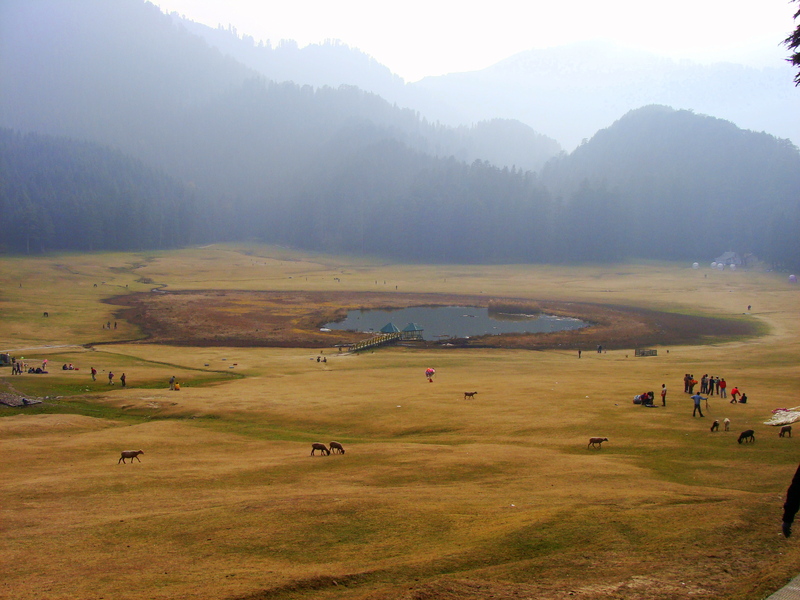 Khajjiar is a wonderland midway between Dalhousie and Chamba. Just a bus/taxi-drive away from Dalhousie through a bus/taxi-able road winding through some very narrow and steep roads and dense dark emarald covers of green forests spanning pines and cedar, the magical paradise Khajjiar innocent in its charm, nascent in its feel, as if untouched, sets you free in a different world of peace and enjoyment and you simply don’t want to leave. 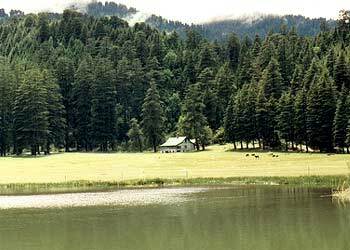 No wilderness in Himachal is as easily accessible and beautiful as Khajjiar. You instantaneously begin flowing with the cooool fresh air, the chill sweeping right into your lungs, cleansing and detoxifying it and the exotic combination of green grass and white snow with sprinkles of rain-shower thrown in every now and then, complete a breathtaking exhilarating entry into this paradise. The soul is awakened to a renewed sense of peace. The most amazing aspect of this place is that the weather can change at the drop of a hat! 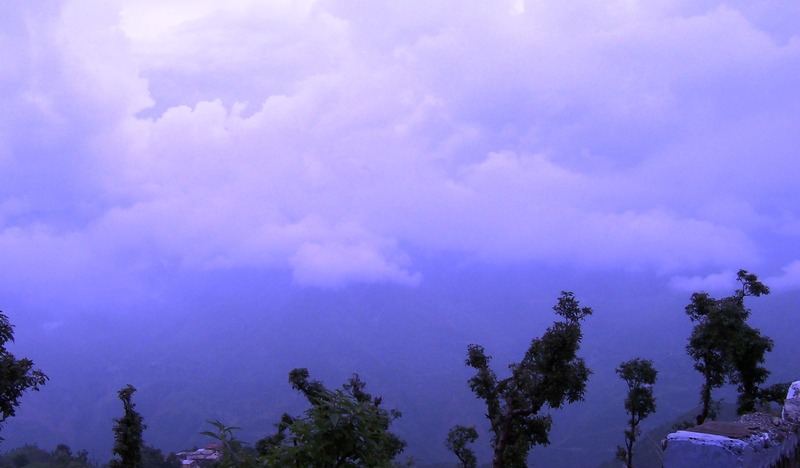 While you may enjoy the sun while it lasts in the day, by evening, suddenly the clouds gather mysteriously all over the mountains and it begins raining heavily. 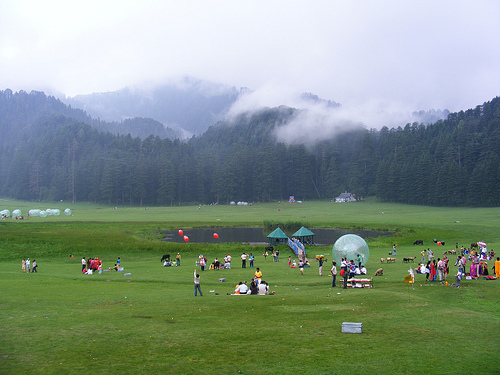 The spectacular saucer-shaped glade in Khajjiar has a circumference of five kilometres. 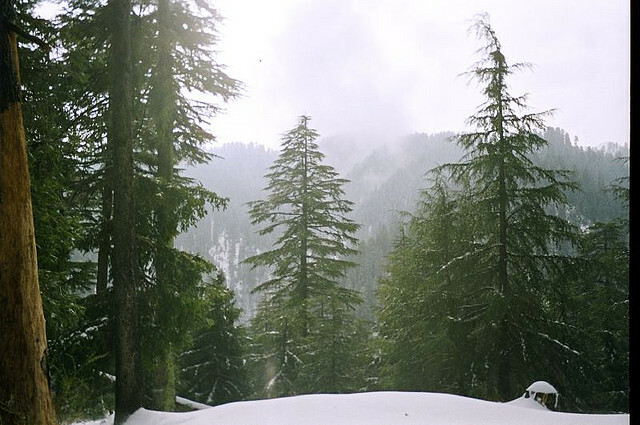 The grand periphery is lined with thick forests of Himalyan cedars. The forests are part of Kalatope wildlife sanctuary. The glade is green in its turf and contains in its bosom a small lake, fed by brooks running through the glade, heaving an approximate area of 5000 sq. yards, 6400 feet above sea-level. The lake, whose depth is unknown and considered one of the deepest places on Earth, is said to have been formed after the collision of a meteorite. It is incredibly beautifully and justifiably famous for its magnificent splendor. One can sit for hours and hours together at the small hut-isle at the center of the lake, where you can reach with the help of a wooden bridgeway, and admire the lake as well as the lavish natural surroundings, breathing in the wet fragrance of a wind that flows through the pines and deodars. A camera can hardly capture the enticingly captivating & mesmerizingly thrilling experience that the eye of a visitor meets. *The pictures are mine, copyright protected and should not be used at all.